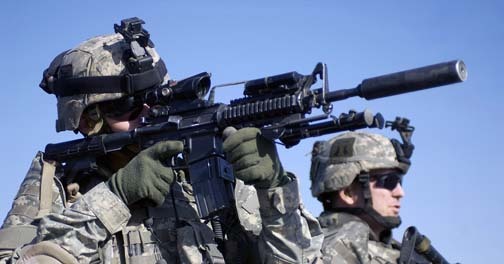 RomeoTangoBravo: US Military Upgrading Flash Hiders - Addition of Silencers Next? 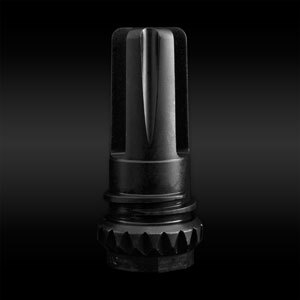 Matt Cox, writing for Military.com, elaborates on the purchase of a couple different flash hiders for the M4/M16, SAW, and M240 weapon systems. 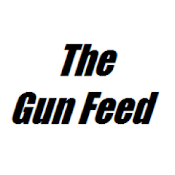 "Late last year, overall Afghanistan commander Gen. David Petraeus became concerned that the muzzle flash from weapons such as the M4 carbine was too easy for the enemy to spot." It sounds like the Military has chosen the Advanced Armament Blackout 18T or similar flash hider for the M16 family and the M249 SAW. While the Surefire FH762MG was chosen to be placed on the 7.62mm 240B. 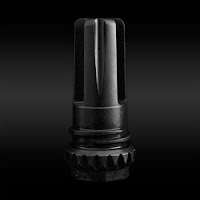 "The Blackout flash hiders, made by Advanced Armament Corp., replace the M4's closed flash hider with an open-prong device. The Army's Rapid Equipping Force shipped about 10,000 of these flash hiders to Afghanistan for use on the M4 carbine and the M249 Squad Automatic Weapon and about 1,000 flash hiders made by Surefire, for the 7.62mm M240 machine gun." "Based on feedback from Marines who have used suppressors in gunfights, "it has a negative impact on the enemy's performance when they don't know where the shots are coming from," said Charles Clark III, infantry weapons requirements officer for the Marine Corps Fire and Maneuver Integration Division"
"I'm not sure we will get to that stage because they are fairly expensive," he said. "I'm sure we will get suppressors within the squad, so they have the capability. 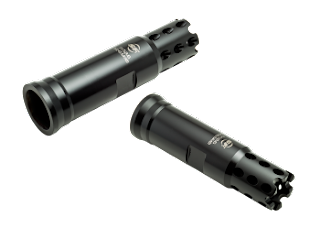 … There are multiple applications for suppressors, the Army recognizes that and that is why that is in the improved carbine requirement." 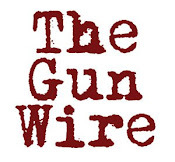 "There’s Nothing Special About a Gun Show"